This is a sizeable carbon fibre battery tray, which could easily accommodate a 6S LiPo. It comes complete as a kit with 10/12mm vibration damping tube mounts and screws (select your desired size above). 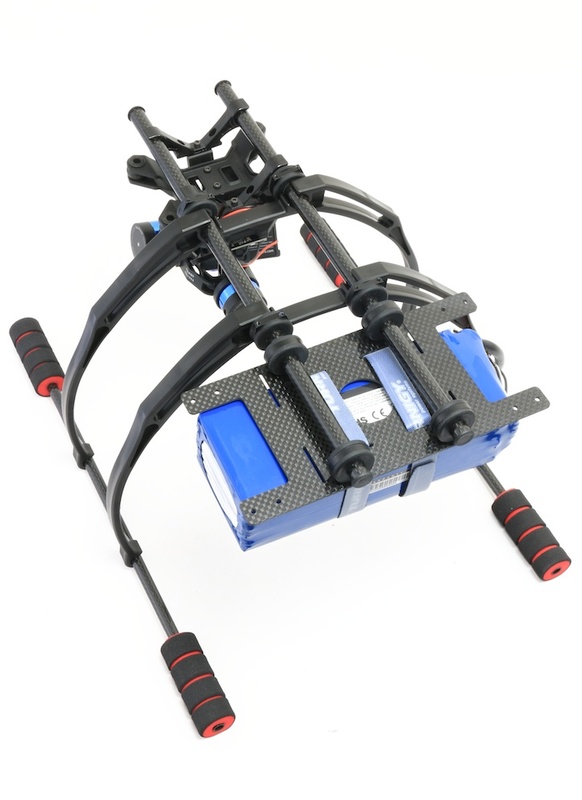 It's universally compatible with most multicopter rail mounting systems as the tube mounts can be spaced at 60mm or 155mm. A 60mm rail is common on crab style landing gears, while 155mm is the standard for the DJI S800 and S1000, and the Tarot T810, T960, T15 and T18. Furthermore, when it's comes to mounting your battery you won’t be stuck for options. There are 10 independent slots for locating battery straps, which makes it possible to position your battery for the best centre of gravity (CoG). Finally, as it's extremely strong and stiff, it could be used to mount other things with some small modifications, for example a GoPro brushless gimbal. 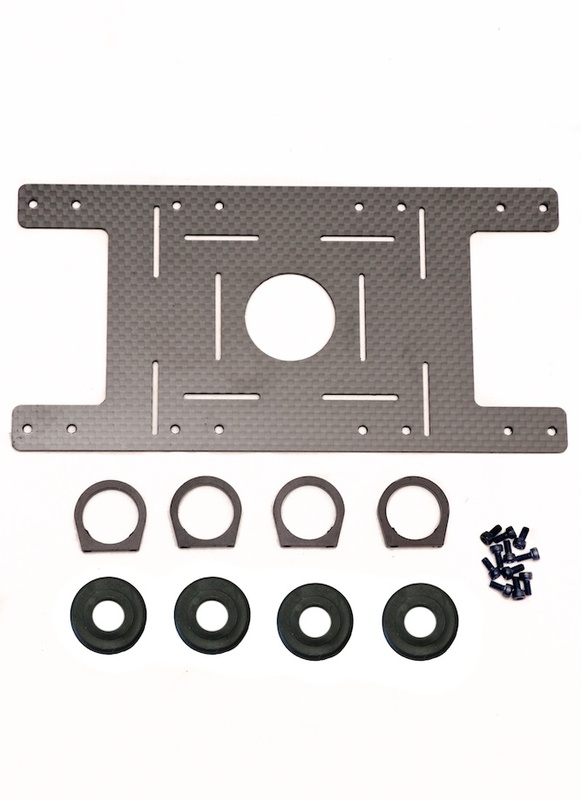 The kit is compatible with our 10 -12 mm carbon fibre load mounting tubes sold separately. 100% woven 1.5mm carbon fibre sheet.